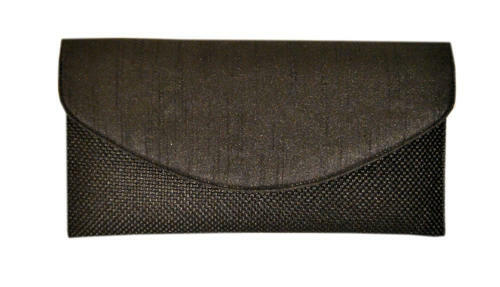 Complete your looks with this classic shaped silk & jute clutch. Perfect for a special occasion or a night out. Silk & Jute outer fabric. Small internal pocket with a zip. Small external pocket with a zip at the back. H15 x W28.5 (widest part) x D2.5cm. * As each bag is individually hand-made, slight variations in size and colour may occur.